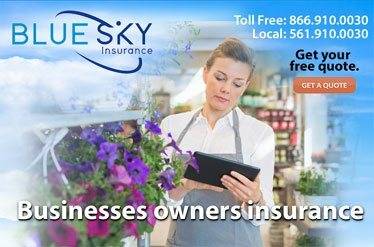 by Blue Sky Insurance in Boca Raton. Your ATV represents a considerable recreation investment. And as you’re riding, the last thing you’ll want to wonder about is whether you have the right insurance coverage for liabilities or collision damage. With a customized All-Terrain Vehicle insurance policy you can ride with confidence knowing that you’re properly insured. Often ATV owners think their homeowners policy is enough coverage if they stay off the roads but that only covers what happens on your property. In addition to that, many State owned properties require full coverage when operating an All Terrain Vehicle on their land. You will also need to protect yourself from theft or damage to your ATV when it is off your property and you are out enjoying a vacation trail riding. You may also want to consider ATV uninsured coverage to protect yourself from injury or damage due to another ATV operator who was negligent and uninsured. 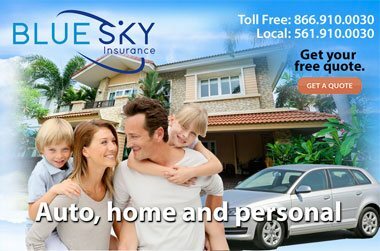 When you look at ATV coverage vs. Florida car insurance coverage you realize that the protection needed is very similar. No matter what type of vehicle you have, whether you ride a 4-wheeler, dune buggy, or even a golf cart, you can get the ATV Insurance you want and the protection you deserve. 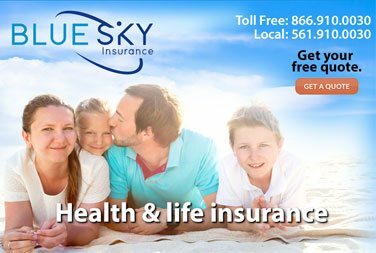 Contact Blue Sky Insurance® of Boca Raton, FL to put in the research and time to get you the best ATV insurance policy at the very best rates. 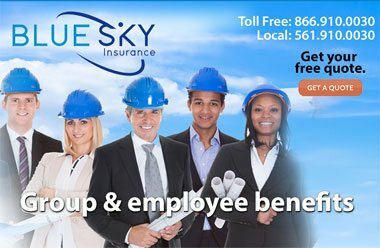 That is why we are here to serve you so put us to work today and let us present you with several options and premiums.